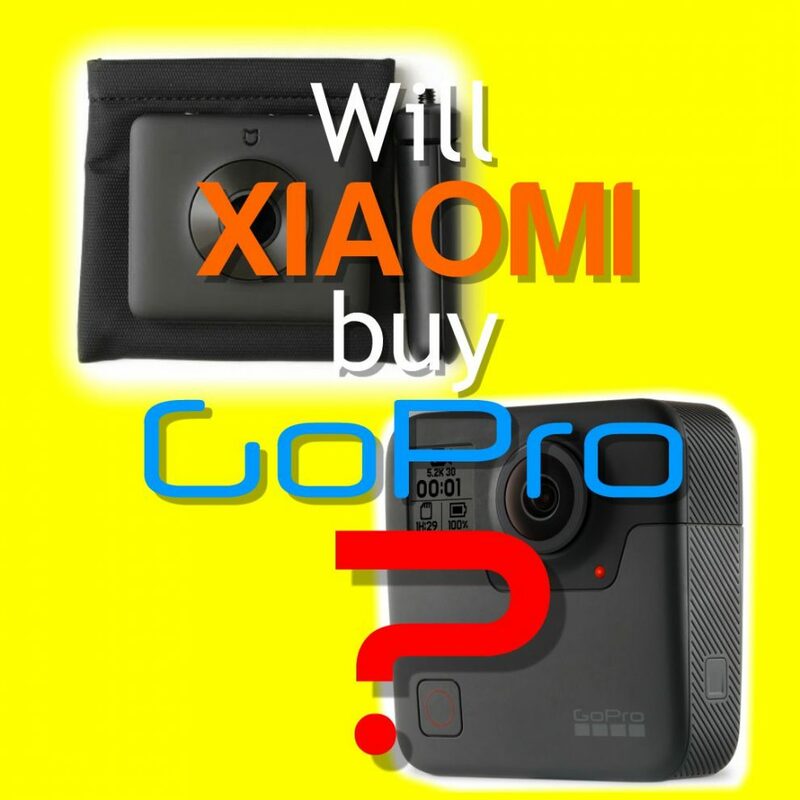 Xiaomi might buy GoPro, according to a report by tech news site The Information. 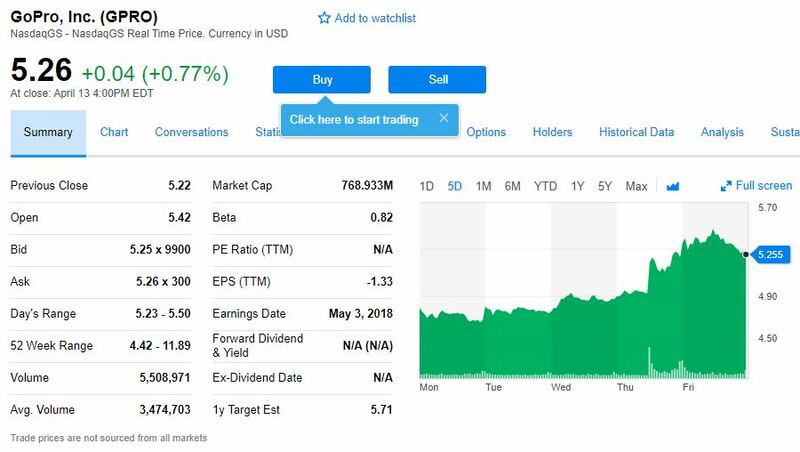 The rumor had enough credibility that the price of GoPro rose to $5.47, from around $4.93. In this post, I discuss the implications of such a buyout for the 360 industry. GoPro has been an important part of the 360 industry for several years. Its Hero cameras have been used for many rigs, and Autopano Video and Autopano Giga (made by Kolor, which is now owned by GoPro) are two of the most popular stitching software. And around November last year, GoPro launched the Fusion, which has emerged as the consumer 360 camera with the highest video quality. However, it’s no secret that GoPro has been under some financial pressure lately due to declining revenue and income, caused by fierce competition from lower cost Chinese action cams that offer similar if not better quality at a fraction of GoPro prices. It makes sense for Xiaomi to be a potential buyer for GoPro. Xiaomi has many subsidiaries and partners for consumer products, and even partnered with Madv to create the popular Xiaomi Mijia Mi Sphere 360 camera. If Xiaomi does buy GoPro, it could have interesting results. For one, Xiaomi has more than enough resources to allow GoPro to finish its app and create a housing for Fusion. This could make Fusion an even better camera. What do you think of this rumor? Let me know in the comments! Xiaomi has proven to be able to release high quality products at reasonable prices. Keep my fingers crossed that maybe they’ll lower the price for the Gopro Fusion to attract new customers. But I guess that’s wishful thinking.. . I agree Roland! If Xiaomi could create a lower cost version of Fusion with the same quality that would be incredible news! I’m hoping so, I think they could do great things with what Go Pro already have. They also are producing the Go VR headset in partnership with Oculus, which they’re branding as the Mi VR Standalone, so it makes perfect sense to release further VR cameras to go with it (may even boost sales as it makes it easy for the consumer to capture and view within the one ecosystem). I’m actually surprised Oculus hasn’t released a 360 camera, seeing they’re owned by Facebook, which is all about sharing photos and videos. Looking into a crystal ball it could be the path, with Xiaomi buying GoPro and creating future VR camera tech in partnership with Oculus to be viewed on their headsets. The Sept 15 sale price for Xiaomi Mi Sphere may be to clear out inventory and terminate this camera in favor of GoPro. Or maybe just a new model? As a recent Madventure owner I selfishly hope they continue development, especially to improve their poor PC software. Hi Fred. I don’t think so because Mi Sphere is made by Madv team, which is almost independent from Xiaomi. Thanks. Have never been clear on relationship between Xiaomi and Madventure.